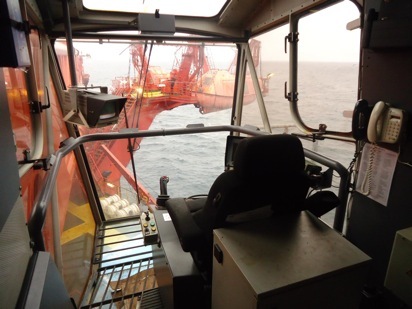 The crane was previously installed on a semi-submersible platform and can either be operated in standard set-up (max. SWL 200 Te), or alternatively with counter-ballast (max. SWL 400 Te). The max. operation radius is 56 m with long boom aux. hoist with 10 Te SWL. 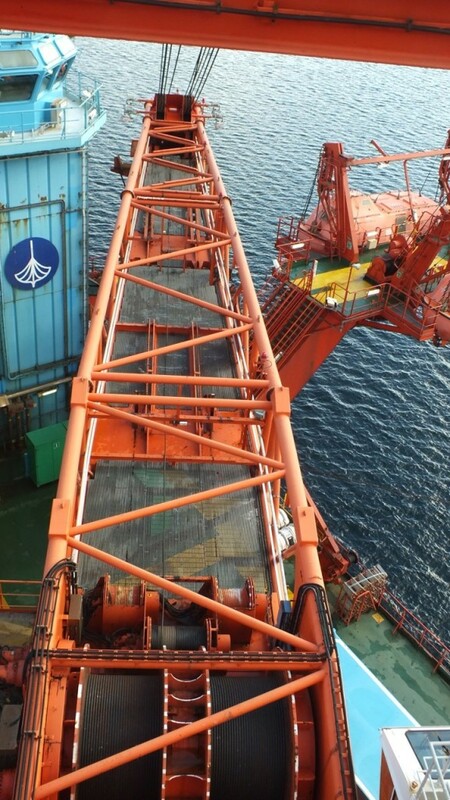 The crane can also perform sealifts (subsea construction) with 400 Te SWL at 600 m depth and e.g. 300 Te at 800 depth. 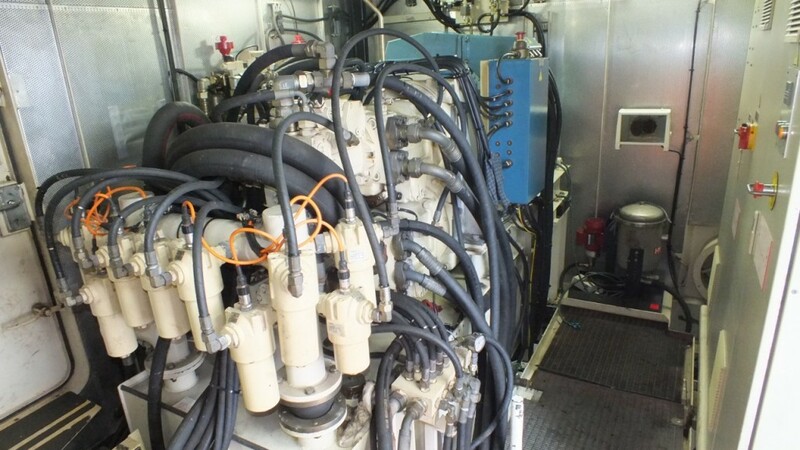 It is equipped with a Variable Constant Tension System. 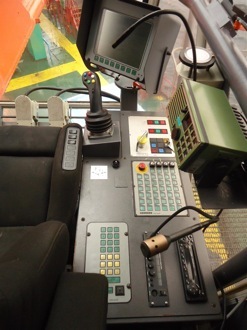 The crane was totally refurbished and received an extensive upgrade by Liebherr in 2003, including installation of a new cabin, new control system, upgrade of the power pack etc.). 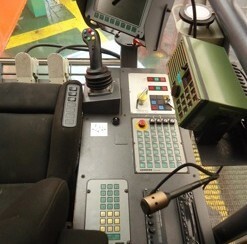 The crane with load control system was upgraded to EU Standard EN 13852-1 in 2009. The crane was last time certified by LRS in Sept. 2011. 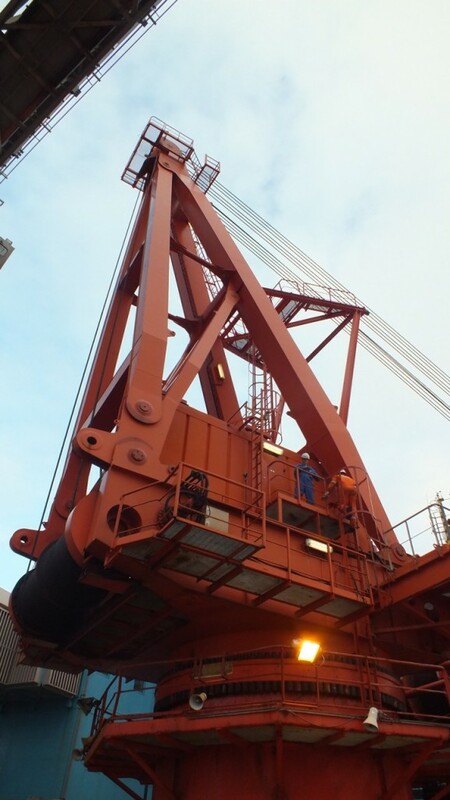 The crane is a well maintained machine in very good condition with excellent performance record. 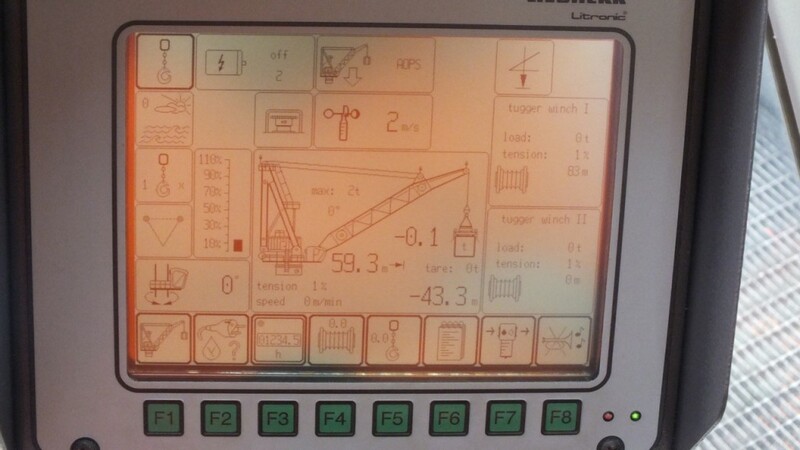 The above hours have been recorded since the cranes major overhaul back in 2003, all evident on the crane software and the Platform Maintenance Management System. 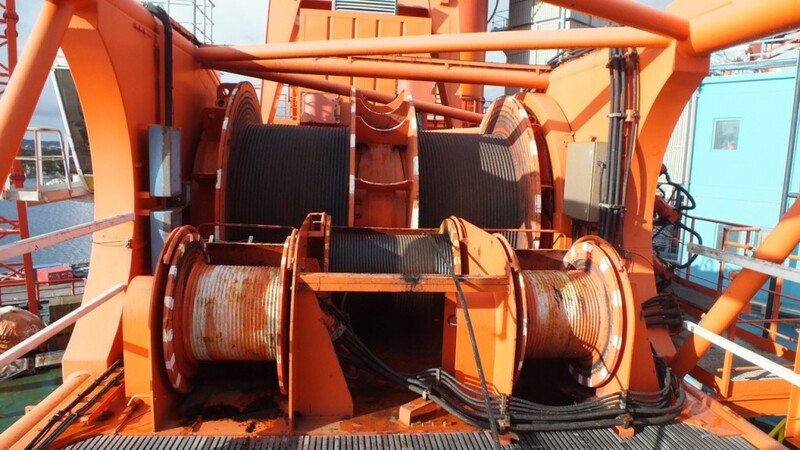 This should be sufficient evidence that there should be no requirement to replace any major components such as slew bearing, winch motors, pinions, bearings, etc… The crane ropes would have to be replaced. 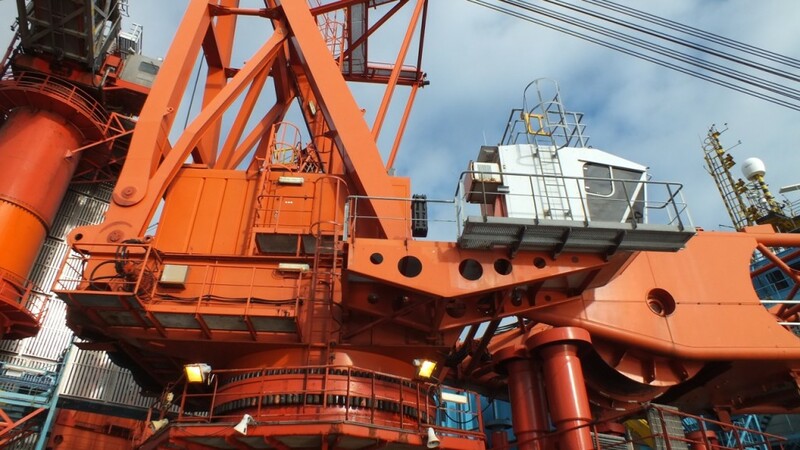 In addition to the above the crane would also come with a full upgrade package for emergency operation supplied by Liebherr, however, this kit was never installed to the crane. 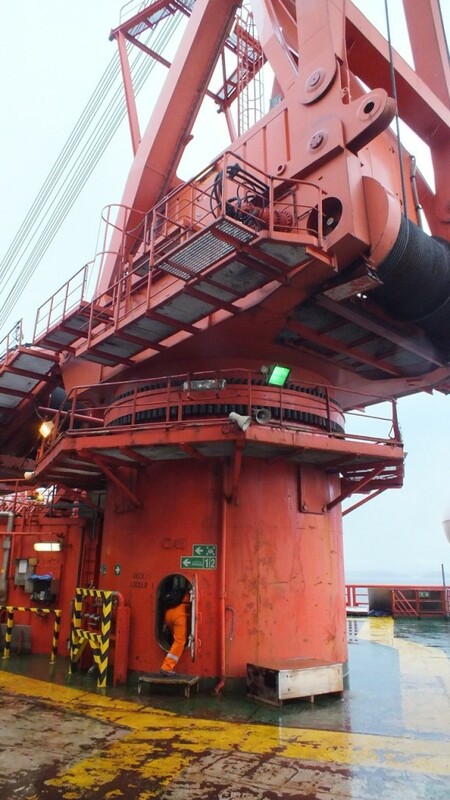 The crane was removed from the vessel in April 2013 and is in very good condition.. The crane house and boom can be broken down in lighter pieces if required before shipping.